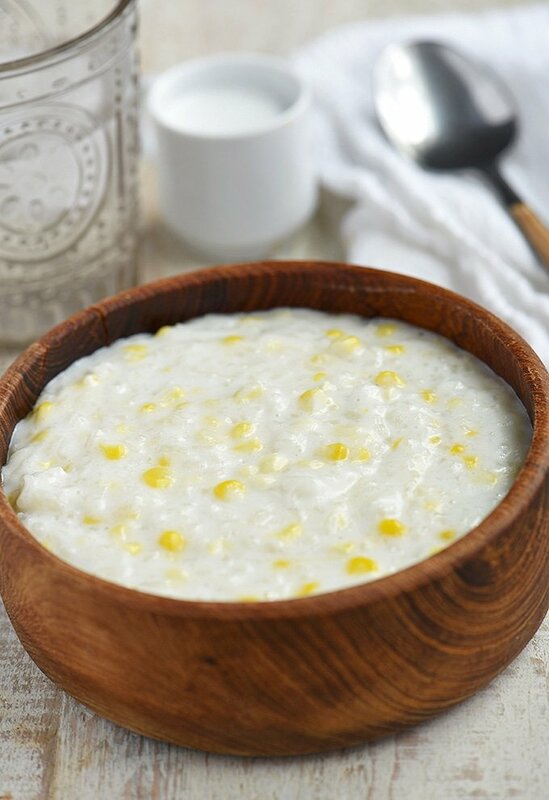 Ginataang Mais made with glutinous rice, coconut milk, and fresh corn kernels. This Filipino rice pudding hearty, tasty, and quick and easy to prepare for a midday snack or after-meal dessert. 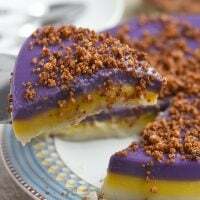 Like the cassava cake and ginataang halo-halo I reposted this week, this ginataang mais was first published on the blog in 2013 which I am now updating to include new pictures and more detailed cooking tips. 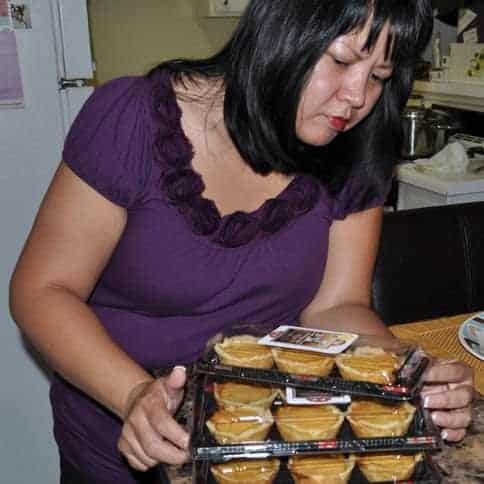 I am planning to spend the next few months reworking a lot of my old recipes; I think they’re not getting the attention they deserve because of my bad photos, bad writing or both. Hopefully, I can improve them to serve you better! 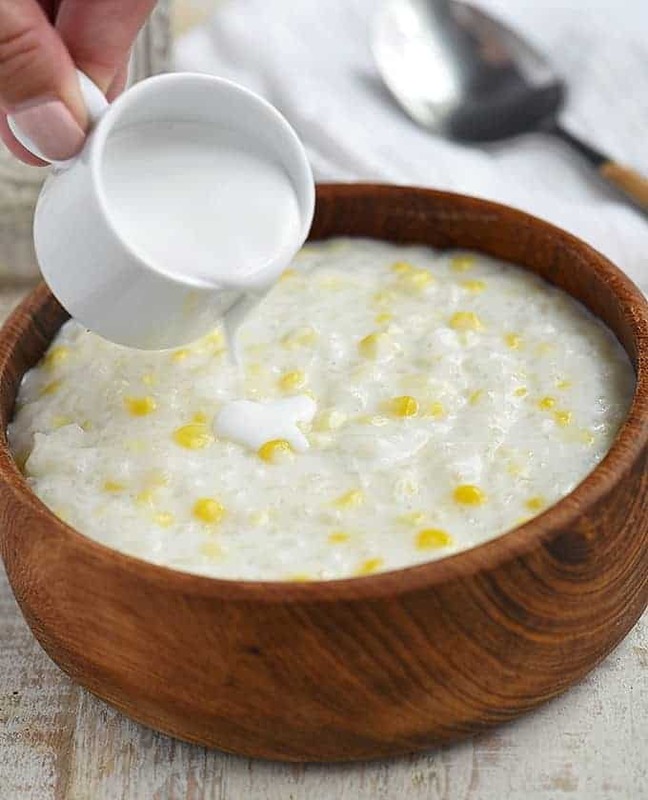 Ginataang Mais is a type of Filipino ginatan dish made of glutinous rice, coconut milk, and corn kernels. 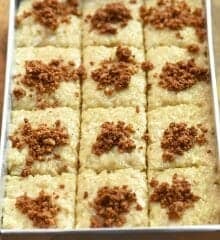 A popular delicacy in the Philippines, the rice gruel is commonly served as a filling midday snack or after-dinner dessert. 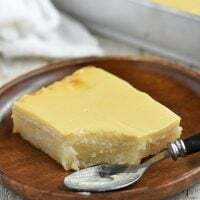 It can be enjoyed warm or cold, usually with a generous drizzling of coconut cream (kakang gata). 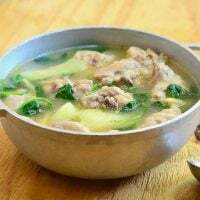 Due to our different regional dialects, it’s also known as lugaw na mais or lelot mais depending on the area of the country. 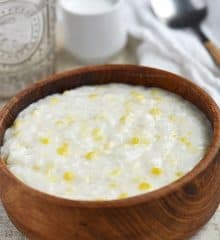 What other names do you call this coconut rice pudding? I use fresh corn cobs because, umm, I like to punish myself with extra work. Feel free to substitute canned cut corn; the result will be equally delicious! Seriously, though, using fresh does make a difference as they do have a brighter and sweeter taste. One trick I do to boost flavor is to simmer the scraped cobs in the coconut milk to extract flavor, but you can easily mimic this if using canned corn by swapping some of the water in the recipe with the packing liquid in the can. This dish is quick and easy to make, but it does require some tending. Make sure to stir occasionally to prevent the rice from burning and sticking to the bottom of the pan. The pudding will thicken as it stands and cools so you might want to cook it a little thinner than you like. It will also taste overly sweet when hot but the sweetness will mellow out as the ginataan cools. Leftovers will keep in the fridge for up to 3 days. Add a splash of water or coconut milk when reheating to loosen the consistency. Ginataang Mais made with glutinous rice, coconut milk, and fresh corn kernels. This Filipino rice pudding is hearty, tasty, and quick and easy to prepare for a midday snack or after-meal dessert. Shuck the corn cobs by removing the husks and silks. Using a sharp knife, cut the stem ends. Place an ear of corn, cut side down, on a cutting board, and hold near the top of the ear. Using a sharp knife, slice starting at the top and going downward with a gentle sawing motion. Continue to cut on all sides until all kernels are removed. In a pot over medium heat, combine coconut milk and water and bring to a boil. Add rice and fresh corn kernels and stir to combine. 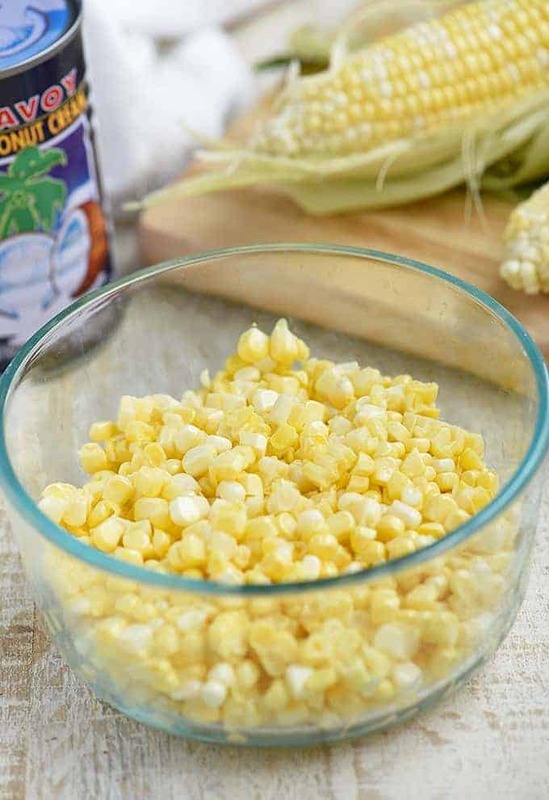 If using canned corn, add later along with the coconut cream and sugar. Lower heat and continue to cook, stirring occasionally, for about 15 to 20 minutes or until rice begins to expand and soften. Add 1 cup of the coconut cream and sugar, stirring until sugar is dissolved. Continue to cook, stirring occasionally for about 8 to 10 minutes or rice is cooked through and the mixture is thickened. Ladle into serving bowls and drizzle with the remaining 1/2 cup of coconut cream as desired. Serve warm or cold. I love your recipes. 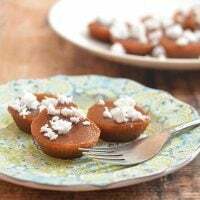 They are simple and easy to follow and yet they are delicious. Way too much coconut milk.